After three years of lawsuits, China’s two biggest search engines—Baidu and Sogou—are seeing each other in court again. The negotiations over patent infringement accusations have failed and the two parties have started presenting their cases at the Beijing Intellectual Property Court on Thursday (in Chinese). Sogou vs. Baidu is China’s largest patent lawsuit and has gathered considerable attention from Chinese media and netizens. Since October 2015, Sogou has filed two suits against its competitor for infringing a total of 17 patents claiming RMB 270 million in damages. Sogou is China’s second most popular search engine after Baidu. 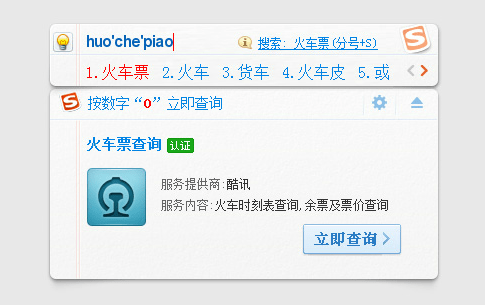 The company also developed a browser, web apps and an input method editor (IME) for Chinese characters. The IME software is the source of the protracted war between Sogou and Baidu. Back in 2014, Baidu sued Sogou for unfair competition, claiming Sogou’s integration of search functionality in its IME was stealing Baidu’s search engine traffic. The court ruled in Baidu’s favor and ordered an RMB 500,000 compensation to be paid out by the defendant. After Sogou filed the two lawsuits which are now being heard in court, Baidu filed another ten lawsuits against Sogou in November 2016 seeking RMB 100 million in compensation, keeping the Baidu-Sogou soap opera going. Sogou is less known in the West than Baidu but its IPO plans may change that. Sogou also gained fame in 2007 when it won a lawsuit against none other than Google which took elements from Sogou’s IME. Besides Google and Baidu, the company has also butted heads with Tencent over IME software.